Our family LOVES the beach! Moms, Dads, all the way up to Grandparents. We also like to enjoy a good frozen drink while we put our feet in the sand. My latest project would make a great gift for a beach trip or maybe for a fun outdoor concert. 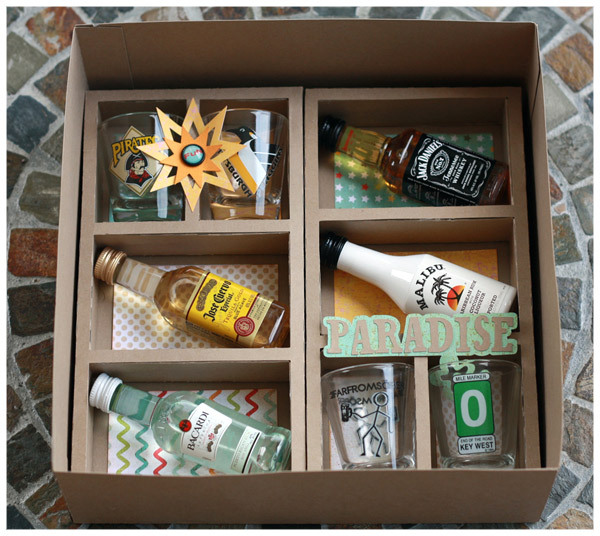 Not only do I supply the box but also the storage for the little bottles, shot glasses and even a little centerpiece for the table. This project is dedicated to Cheryl! 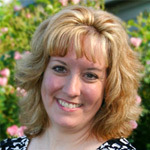 She is a "5 O’Clock Somewhere" kinda lady and I will miss her on this design team! 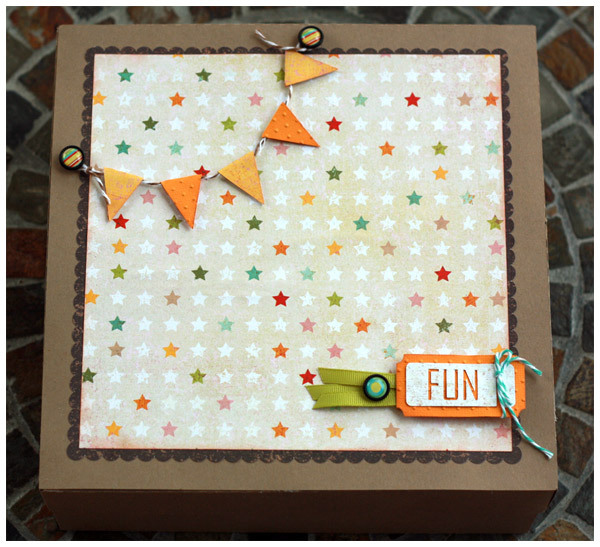 Cut the elements for your box, assemble and embellish. I used a kraft stock that is a bit heavier. The bottles are plastic so overall the project is not heavy. Next cut the pieces of the curio shelves and assemble. These are sized up to fit the little bottles and shot glasses so we have to do some breaking apart to fit on the mat. See Figure 1 showing angle of shelf_exteriors.svg . 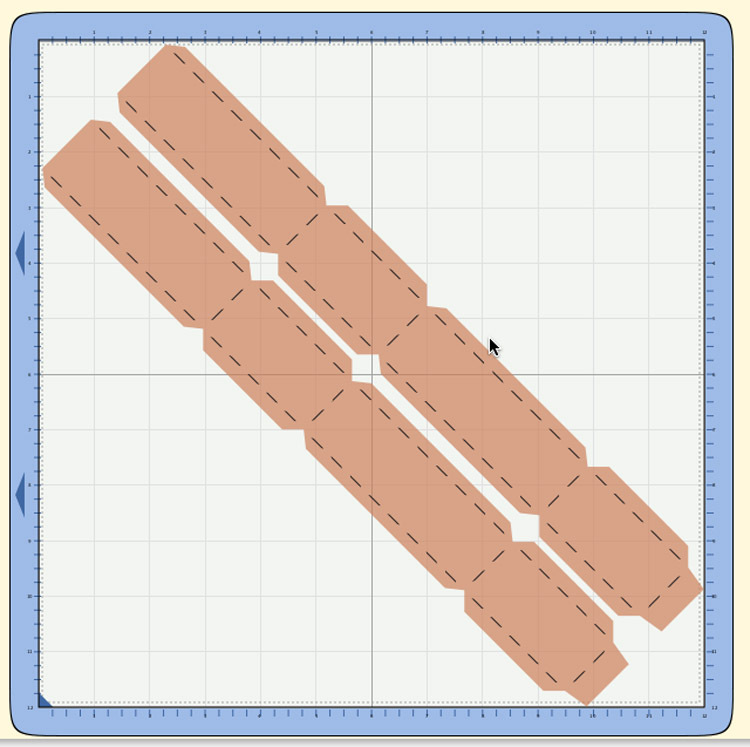 Once you break apart you will need to cut all sections – just separately. Please note you will not need the reinforcements for this project – just disgard. 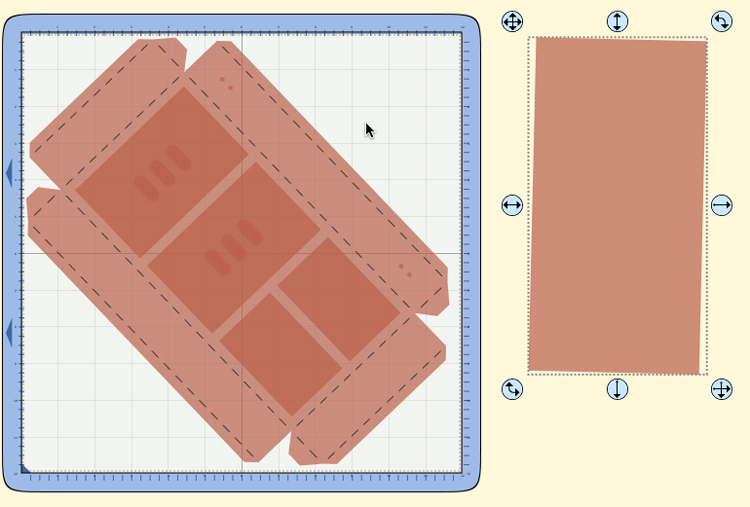 See Figure 2 for angle of shelf_interiors.svg. You’ll need to cut the other pieces too (not pictured). Cut and ink accents. Add accents to bottom of curio shelf sections. Add cuts to the curio shelves. If you have some imperfections on your assembly of the curio shelves this is an excellent way to cover them up. That’s what I did. Now onto the centerpiece. Cut the 3D 5 and assemble. the letters and follow shadow instructions in chart. Don’t forget to hit preview to make sure everything is welded. For the ”IT’S” angle the letters slightly and weld, duplicate and follow shadow instructions in chart. When I put boxes or 3 D items together I like to use hot glue – you do have to be exact but I sure like how well it holds and you don’t have to wait for the glue to dry. 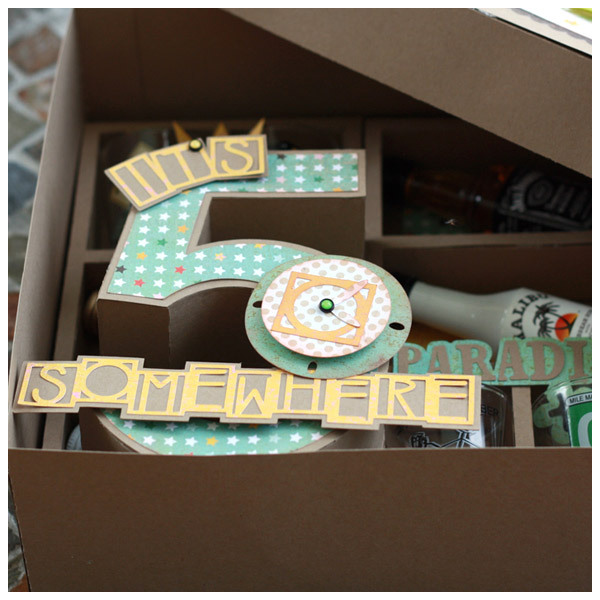 If you are customizing for a birthday feel free to get creative with the top of the box or the inside embellishments. All of my patterned papers are from a Basic Grey Shine On paper stack so no worries about coordinating that way. I kept most of my box, 3D 5 and curio shelfs in the same color paper for a consistent look throughout. Not into tropical drinks? Then make this and fill the sections with candies or other goodies. Sky’s the limit! 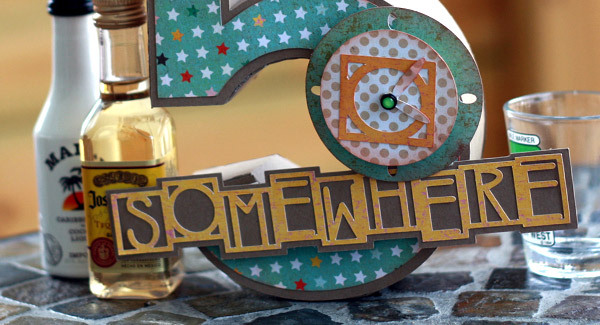 Hope you enjoy the rest of your summer and remember, It’s 5 O’Clock Somewhere! 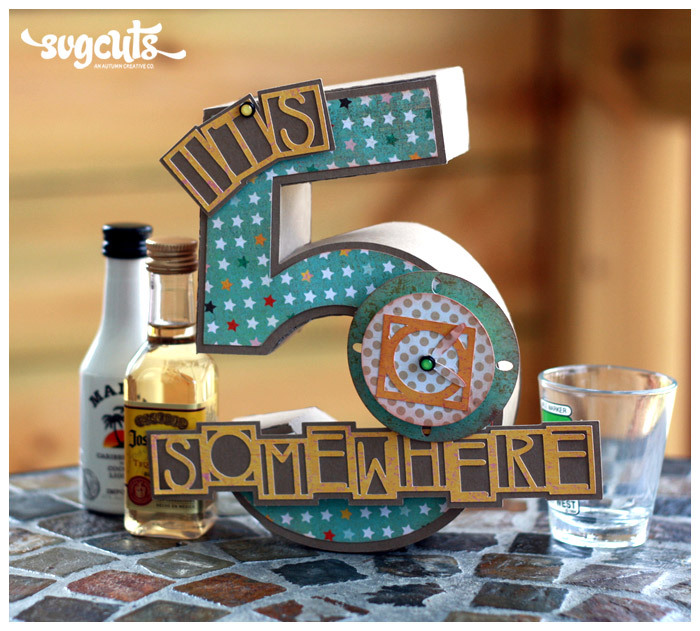 OMG….way too cute…need to make for our next margarita party!!! This is amazing! I love it! 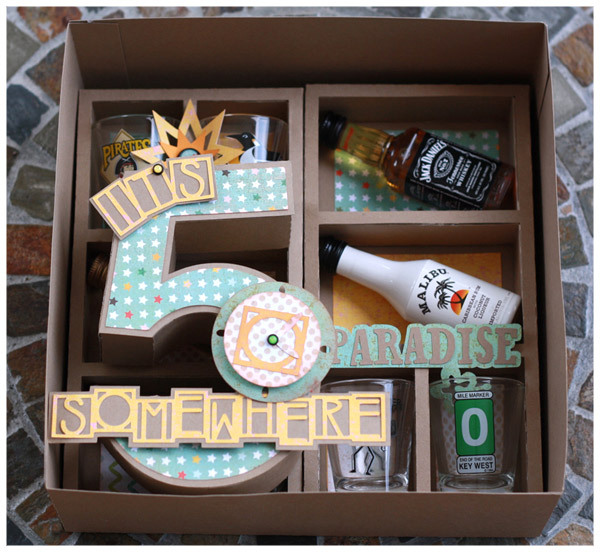 I’m definitely going to have to make this for the host of our 5:01 club when we’re on vacation. Beautiful job!